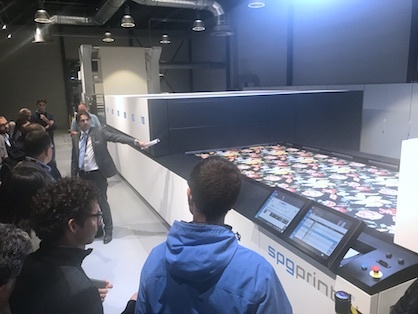 Supporting the growth of the home furnishings and interior decor markets, SPGPrints will be presenting its digital and rotary screen solutions for a wide range of applications from textiles and laminates printing to wall coverings at Heimtextil. SPGPrints’ SpecialScreen® screen programme unlocks the creative potential for wallcovering designers and producers with seamless nickel rotary screens that combine a high mesh-count with a large hole size, enabling fine and detailed printing with large paste particles, without risk of blockage. For excellent reproduction with smooth tonal gradations, fine outline printing, as well as puff, 3D tactile, glitter and reflective effects that offer enhanced sensual appeal, SpecialScreen screens set a new standard.